Well who can resist the opportunity to review a release from Mr Benn, a veteran socialist politician who wore a bowler hat and frequented a fancy-dress shop. Every week he would get changed into outlandish clothing and disappear into another world through a magic door at the back of the shop, before returning to demand workers’ control and nationalisation of the means of production. OK, maybe I’m confusing a couple of things there but, in any event, Mr Benn is now a reggae producer from Bristol, funnily enough the city he used to represent in Parliament, and has now come up with the first full-length artist album release from Nice Up records. The album features a host of contributors including the Ragga Twins, Serocee and Nanci Correia, and succeeds in combining reggae influences from the 70s (dub), 80s (dancehall), 90s (hip hop) and 2000s (dubstep). Like other current production/DJ outfits such as Mungo’s Hi Fi, Mr Benn is essentially keeping the sound system movement alive by redefining it. This album has apparently taken almost four years to complete. It opens brightly with the title track, a one-chord ragga thrashalong featuring MC Blackout Ja, followed by ‘Without a Trace’ (featuring the Ragga Twins) in fairly similar style. The next few tracks reveal a more mainstream reggae influence including ‘No More Guns’ (feat. Tenor Fly) with its roots inspiration, and a melodic reggae song ‘Stand Up’, with vocals from Nanci Correia, a strong track in the reggae tradition. ‘Rising Star’, featuring Serocee, slows things down by a considerable measure, with its bitter lyrics and a mood and feel akin to hip-hop against a slow reggae beat. In contrast ‘Pull It’ brings the ragga style back in, with some dubstep rhythms keeping themselves occupied in the background, while ‘Wine Down Low’ (feat. Mad Dog) gives us some drum and bass/jungle rhythms behind an upbeat vocal. ‘Do the Move’ (feat. Top Cat) is a sweet little track that isn’t about much but moves along joyfully. The album closes nicely with ‘Shame’ featuring a whole cast of contributors – Emskee, DJ Cheeba, Souls Liberation – with decidedly hip-hop vocalising against a strong reggae beat. This intriguing release is supported by a number of gigs across the UK and elsewhere in Europe, including Glastonbury, Bristol, Skipton, Sheffield – and Finland – during July. Mr Benn gets out of the fancy dress shop and hits the road! Mr Benn: Shake a Leg, released 15th July 2013, Nice Up! Records, CD and DDL. The contribution of the Congos to reggae is well-understood and well-documented. Their classic album Heart of the Congos (1977) is still held in awe as a reggae landmark (reggaemusic.org.uk 18th September 2009) while more recent dub reworkings (see reggaemusic.org.uk 19 May 2012) continue to attract attention. Plus they still perform live, with undiminished force. Now you can catch the Congos, with the unique voice of Cedric Myton up front, at the Jazz Cafe, Camden, on 26th June, a most inviting prospect. Not long after, July 6th sees the London launch of the Prince Fatty Rub a Dub Club in Brixton, accompanied by the esteemed Trojan Sound System, along with the sounds of Hollie Cook, Horseman, Dennis Bovell, Jabbawocky HiFi, The Minister of Blaxploitation (AKA Moody Boyz) and (it is promised) more…Fatty’s tracks are mixed live and analogue with all the reverb, echo and tricks of 70s dub technicians that you might hope for, while the visitations upon ska, dub, dancehall and bass from the Trojan Sound System speak for themselves. 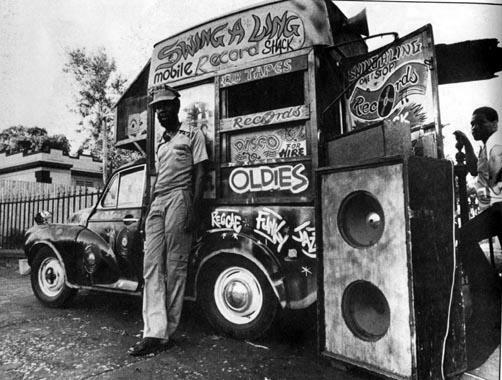 Mightily impressive dub releases from producer Prince Fatty have been covered on these pages before (eg, reggaemusic.org.uk 22 October 2012) and here this uplifting retro/forward-facing live dub sound hits the streets of Brixton. Better lively up yerself then! Wednesday 26th June 2013, The Congos at the Jazz Cafe, Camden, £15 advance; doors 19.00. Saturday 6th July 2013, Prince Fatty Rub a Dub Club, 22:00 – 04:00, Brixton Jamm, £8 advance, more on the door. Details as notified at time of writing – check first. Here comes the second release from London DJ/production outfit Hylu and Jago, available variously on 7” vinyl versions and digital download. This time round they team up with onlyjoe guitarist and composer R Kent for the aptly named ‘Uplifting Riddim’. It’s released by Unit 137, a South-East London-based collective of DJs, producers, vocalists and musicians who share a recording studio, sound system and record label. The Uplifting Riddim EP is one of the tangible products of this ambitious and committed musical project. This release is firmly in the roots and reggae tradition, bass-driven and with high production values. The versions included here feature different vocal treatments around the strong basic rhythm, from Jah Defender (Trinidad), Josie Mel (Jamaica), Galak Spiritual (France) – plus Dandelion who offers a powerful ‘Mad Times’ interpretation. Added to this are impressive re-mixes from resident Unit 137 DJ/producer Sleepy Time Ghost (see reggaemusic.org.uk 27 January 2013) and Reggae Roast’s Adam Prescott. The latter remix is a great dub/club echo-laden restructure that takes the rhythm somewhere else again. Uplifting Riddim EP released by Unit 137, June 2013, on 7” vinyl (x 2) and DDL.